Amazon is offering the Kindle Paperwhite and Kindle Fire to many countries in the Asia. However, but for some reasons only few countries within South East Asia are not eligible. So, you cannot get Kindle in Indonesia, Malaysia, Singapore and Brunei Darussalam directly ship from Amazon.com. – Borderlinx. Their service is good, they use DHL delivery and their price is very reasonable. – ShipTo. They are quite popular in Indonesia because they offer various shipping channels from a very affordable price to premium services. Opening a package forwarder account is very straight forward, you can sign-up a FREE account with them, you do not have to pay for anything until you use their services. Click here to access their websites Borderlinx or ShipTo. 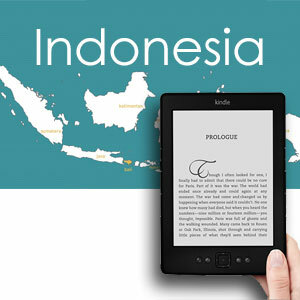 How to buy Kindle in Indonesia? The procedures are very simple, once you have sign-up the package forwarder account, you will be given a US address. With this address, you can sign-up the Amazon account and purchase your desired Kindle range of devices. Afther you have bought the Kindle, you will instruct the Amazon to ship the device to the US address provided by your package forwarder. Once the item reached the destination in the US, the package forwarder will lthen forward the Kindle device to your doorstep in Indonesia. 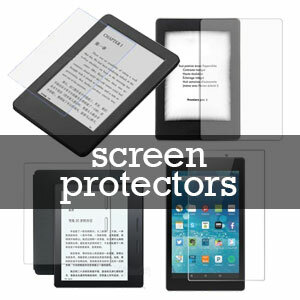 For step-by-step tutorial, refer this post on how to online buy Kindle in Indonesia. The service of package forwarder is not limited to just deliver the Kindle to Indonesia, they do offer a wide range of services like allowing you to do online shopping in US and UK from Indonesia. They also offer concierge service to help you to buy items from the online shops that only accept US or UK-issued credit cards. Your purchased items handle by the package forwarder can be covered by insurance to give you a peace of mind. With package forwarder, it provides you a hassle-free experience for online shopping in Indonesia. Certain products may incur import duty, you may visit here for more reference. Once again, if you like to know how to buy Kindle in Indonesia, please refer to this free tutorial. If you have already owned a Kindle and wonder how to buy Kindle book from Amazon in Indonesia, please refer to this tutorial. Finally, if you like our tutorials, do support us by Facebook like or Google Plus. Hi, thanks for sharing this. Now i know alternate solution for purchasing items from US.